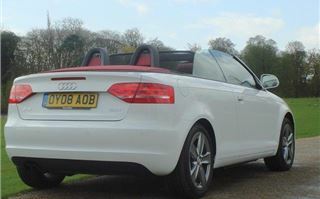 We tested the new Audi A3 Cabrio on a perfect day. Half way through our drive the skies opened and it rained cats, dogs, frogs and fishes. 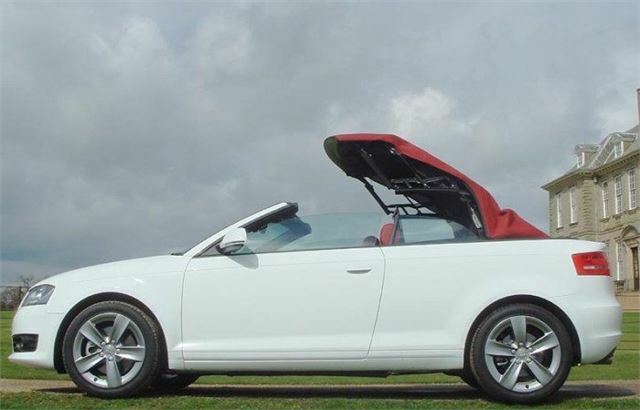 Ideal weather to check Audi’s claim that you can get the roof over your head in 9 seconds flat. Audi made some interesting claims about that roof. The advantages of fabric compared to the folding tin tops we have been seeing from almost everyone else. Status is one. A coupe convertible with the top up doesn’t look like a convertible. It can look like you are driving something as mundane as a saloon. 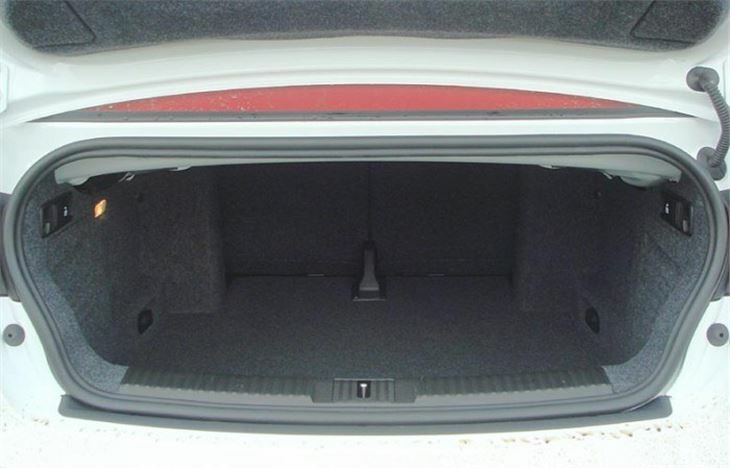 Trunk space is another. 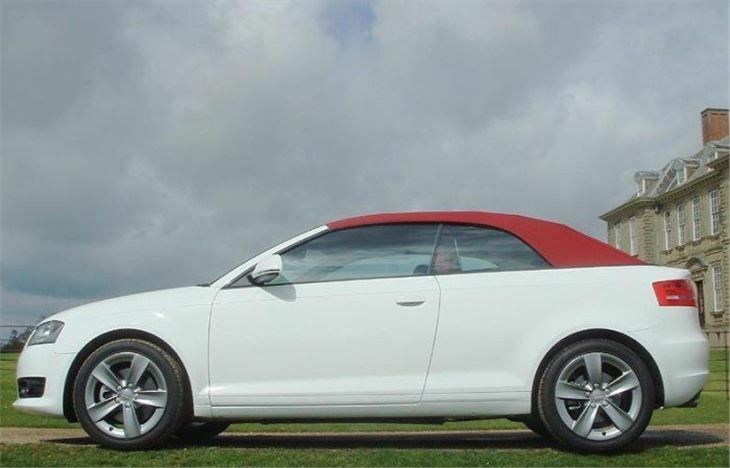 Most coupe convertibles rob you of almost all of it with the top down, but the Audi hood sits on top of the trunk, leaving a very useful 260 litres of space into which to post your luggage. 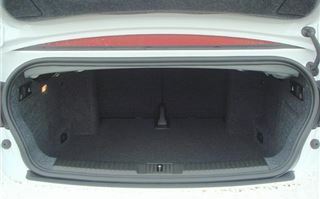 And it’s lighter, so, combined with the strengthening of the structure at floor level, it gives the car a lower centre of gravity than a folding tintop. We drove a white one, which happened to be a 2.0T FSI S tronic. 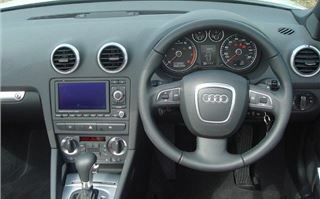 Though, on the basis of pre-orders, Audi expects the sales split to be only 30% petrol compared to 70% diesel. 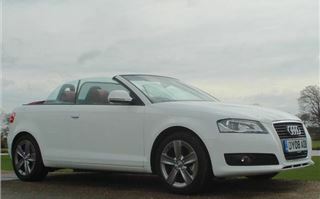 It drives like an A3 2.0TFSI, or a Golf GTI 2.0TFSI, for that matter. Sporty, yet secure, with a very pleasant power delivery through the seamless 6-speed S tronic. There’s not a lot of legroom in the back, of course. Best to think of it as only an occasional four seater. The kind of car you and someone else could go on holiday in with all your luggage, then, when you got there, could pick up a couple of friends. The optional windbreak works well, and with the windows up even the rain stays off you until you have to slow down or stop. When you get wet for the 6 seconds or so it takes to get some roof over you, then, after another 3 seconds, are snug as a bug in a rug. That’s a very fast top. So what’s it to be? £20,750 only buys a basic, fairly slow, 1.9 diesel. The kind of car for older couples who won’t exactly give the A3 convertible the sort of image Audi is seeking. You’ll need £23,660 for the most basic quick one. Though I can also see the £22,300 160PS 1.8 TFSI selling quite well. 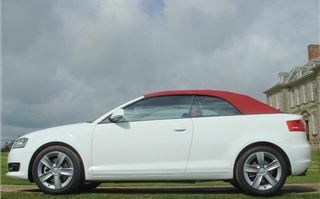 The 2.0TFSI S line S tronic we drove comes to all of £28,460, and that’s before you add satnav or a windbreak. But white with a red top has to be the colour combination to have. In a metallic grey the car just doesn’t get noticed. 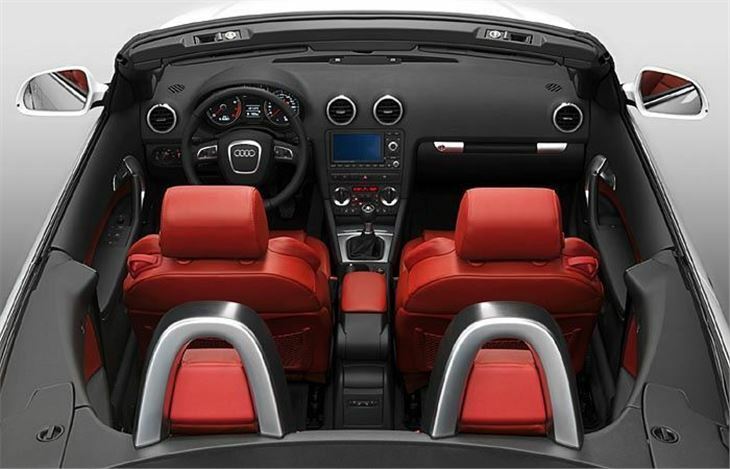 Need a sports car with four seats? It has to be the A3 Cabrio or the 1-Series convertible. Battle of the beach roads commences this summer.